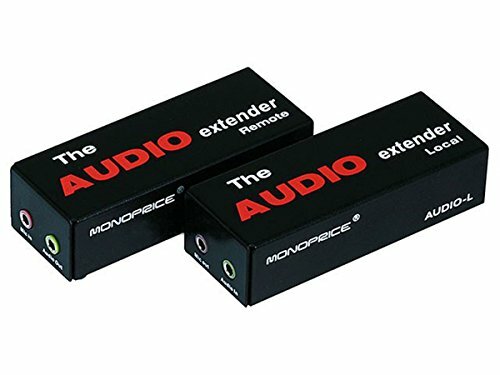 The extension of audio stereo and microphone up to 300 meter away by using the Audio Extender and one CAT 5e cable. Audio Out supports multimedia speakers and headphones or earphones. Mic In supports Condenser Microphone and Dynamic Microphone. Built-in Microphone preamplifier. Microphone gain can be adjustable. Monoprice continually strives to improve its product line to bring our customers the best products available. Therefore changes may be made to listed specifications without prior notice. Item received may not match photo or specs shown.